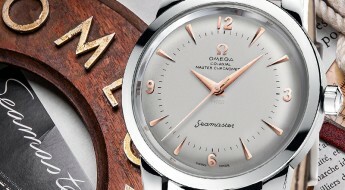 One of the major horology event is still under way, but yet another is already showing us sneak peeks. 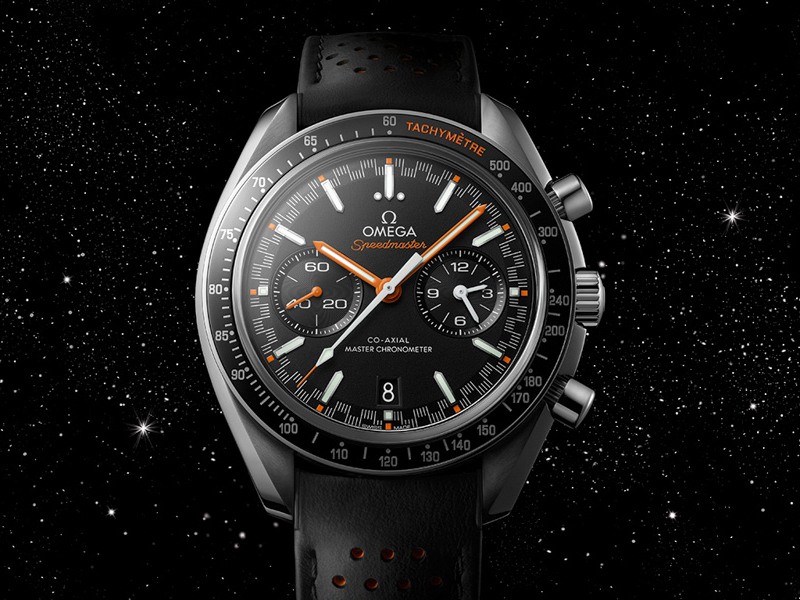 Pre-Baselworld 2017 has just revealed a glimpse at the new “Omega Speedmaster Moonwatch Automatic Master Chronometer”. The overall design of this timepiece very much resembles the standard Moonwatch, we’ve all come to know and love, but with a sporty motif added into the equation. 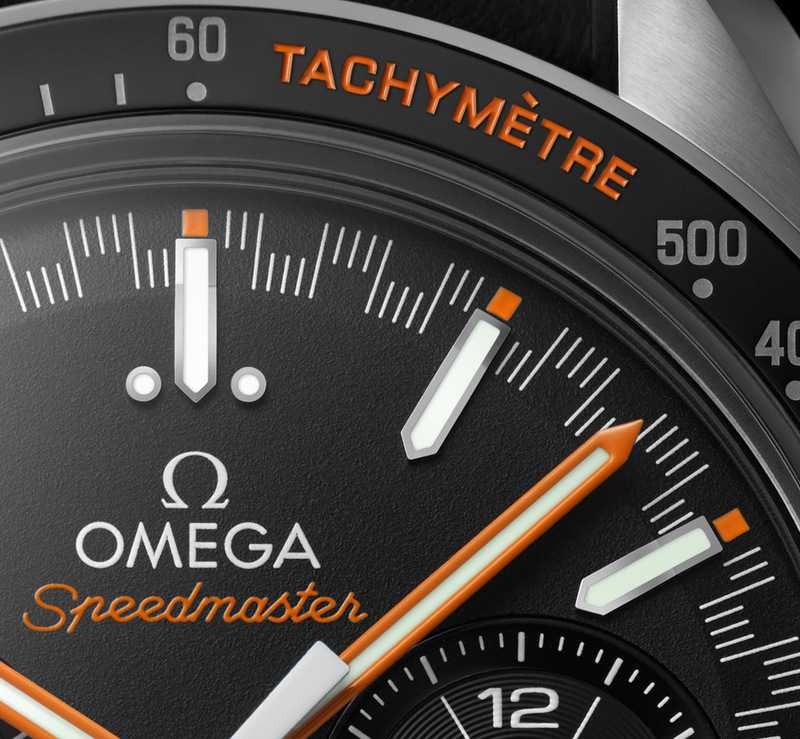 Just after Omega put out their online exclusive “Speedy Tuesday”, we’re greeted with this other exquisite “Speedmaster”. 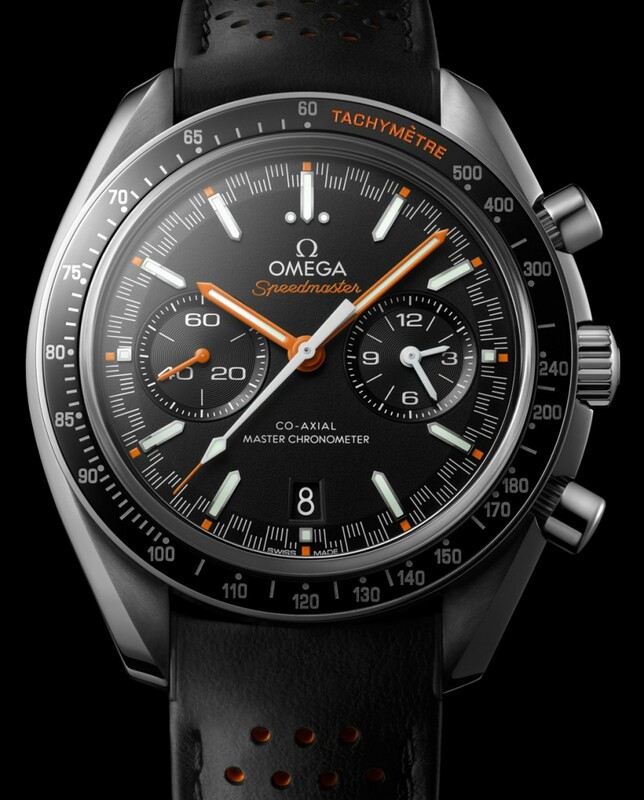 The 44mm case is made of stainless-steel with a black brushed ceramic bezel that has a “liquidmetal” tachymeter, with the word in orange font. 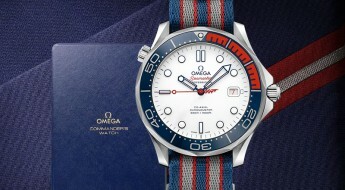 Seen from the sides it may appear to have a thinner size, which Omega attributes to alterations applied to its sapphire crystal. 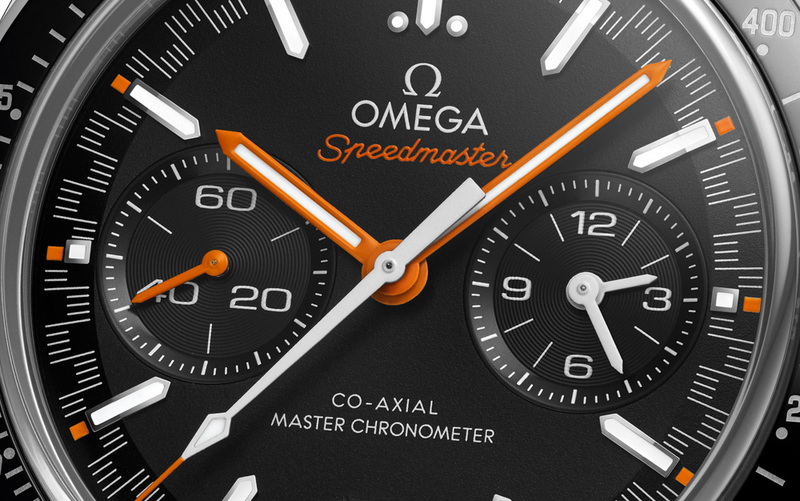 Time is exhibited on what Omega calls a “racing dial”, which in this case we can describe as a: matte black dial with 18k white gold arrowhead hour index markers and a white minute track ring with orange accents for each 5 minute interval. 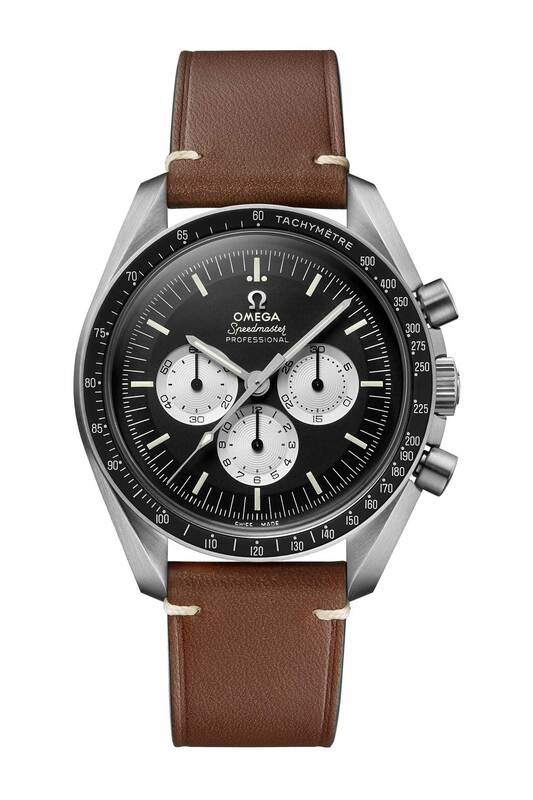 The minute track has been done with an alternating pattern, which was first seen on a 1968 Speedmaster model. There are two enlarged radial sub-dials: a 12-hour counter at the 3 o’clock position and a sub-seconds at the 9 o’clock. The hands and hour index markers have been coated with a white Super-LumiNova coating, for an enhanced legibility. 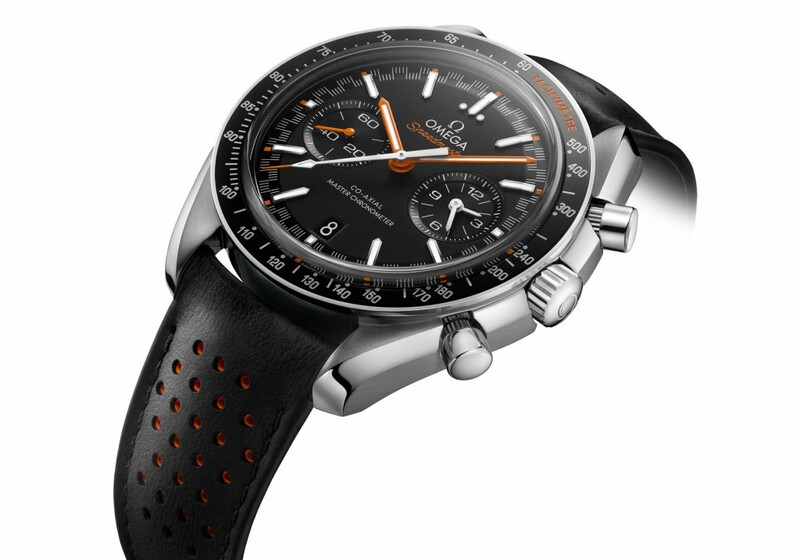 An orange motif extends to the hour, minute, sub-seconds and tip of the seconds hands; the before mentioned “tachymeter” in orange on the bezel; and even the perforated strap has an orange undercoating. There is also a date aperture at the 6 o’clock position. 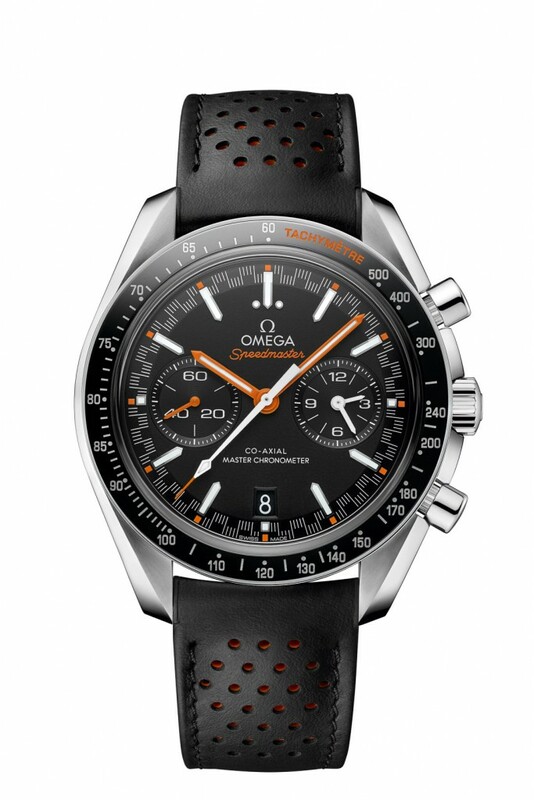 This “Omega Speedmaster Moonwatch Automatic Master Chronometer” (Ref#: 304.32.44.51.01.001) is powered by a self-winding mechanical movement, caliber 9900 with 54 jewels and 28,800 vph. Power reserve on this timepiece can last up to 60 hours, when fully wound. 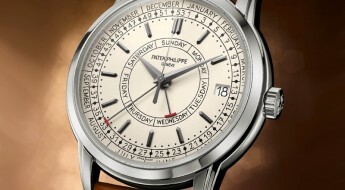 This timepiece has a “Master Chronometer” designation that certifies an accuracy between 0 and +5 seconds per day; and a resistance to magnetic fields up to 15,000 gauss. 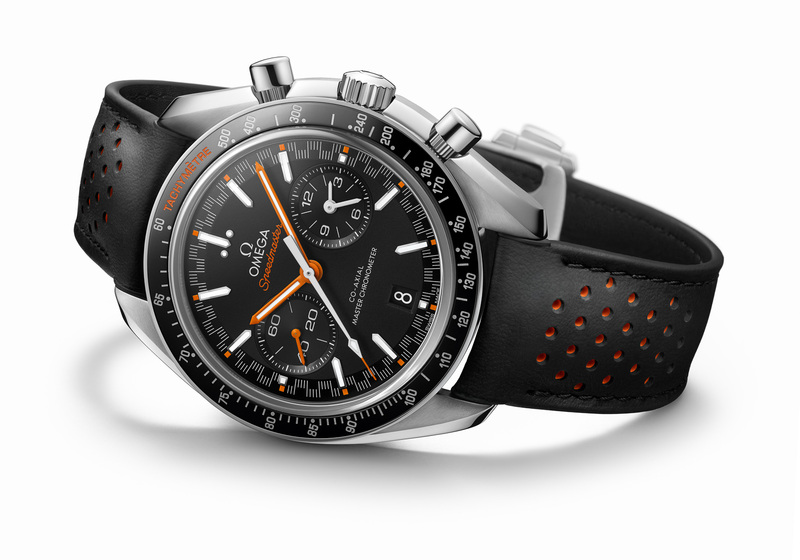 Mounted to the watch is a black perforated leather racing strap, with an orange rubber underneath mixed in the color scheme and secured to the wrist by a stainless-steel folding clasp. This watch will be officially released at Baselworld 2017.